Home ❯ News Items ❯ Have you secured the kids? Researchers from Neuroscience Research Australia (NeuRA) are urging drivers to check child restraints are properly secured before travelling this holiday season. This is particularly important at this time of year when cars are being packed with gifts and holiday gear. Car crashes remain a leading cause of death and disabling injuries – approximately 30 children die as passengers in car crashes every year on Australian roads. When packing the car, belts tethering car seats for children and babies can accidentally be unlatched to load luggage or position camping gear and sports equipment. Passengers can also inadvertently disengage the seat belt used to tie a child’s car seat to the car. 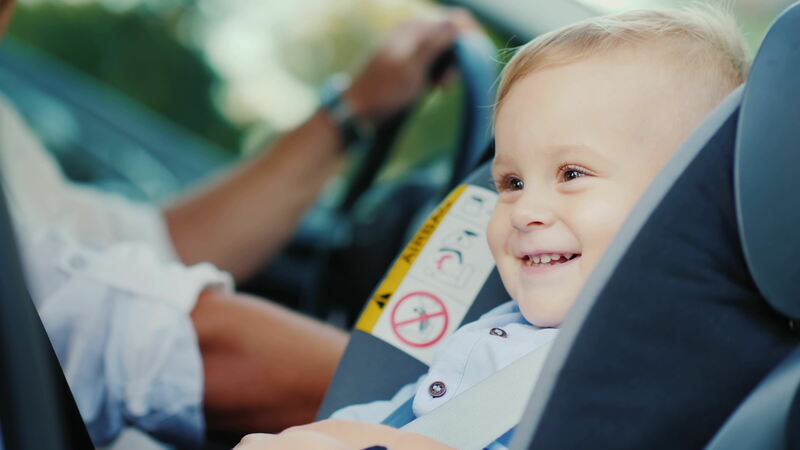 NeuRA Associate Professor Julie Brown said while most children now use the proper restraint for their age, the number of errors in how child restraints are fitted or installed hasn’t improved. “In our studies we see a number of children seriously injured in a crash because they are ‘out of position’ and the seat belt or restraint is no longer providing good protection,” said Associate Professor Julie Brown. For children in a seatbelt, it is critical not to lie horizontal across the car with a pillow but rather to keep upright so the seatbelt is positioned over the mid shoulder to provide the best level of crash protection. Group Executive Project Delivery, Tony Adams said Transurban understands the importance of road safety research and the importance of properly installed child car restraints. “Research into child restraints and ensuring they can be easily and correctly secured is pivotal to the work being done at the Transurban Road Safety Centre,” said Mr. Adams. A properly-installed and fitted child restraint stops a child moving in a crash, by attaching them to the vehicle’s rigid structure. It ensures the force of an impact hits the strongest parts of the body more likely to recover, like bones, instead of internal organs and the brain which may never heal properly. This is also the case for a child wearing a properly fitted seat belt.